This card uses the PPA Challenge#241 here. One Tag Fits All is the stamp set with some Best Year Ever DSP. This was a super quick card thanks to the Freshly Made Sketch#175 here. 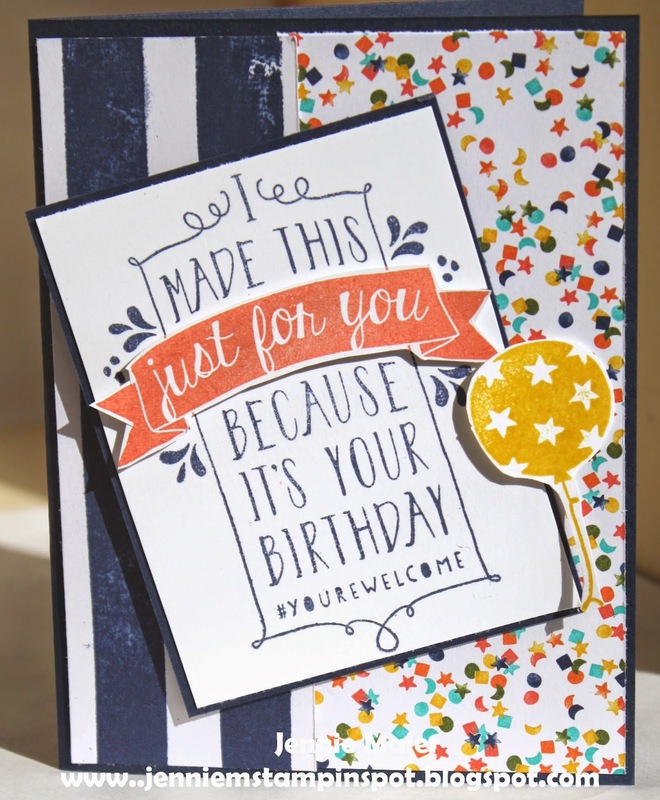 Balloon Bash is the stamp set paired with some Birthday Bash Specialty DSP. This card uses two Splitcoast Challenges. First, the Splitcoast Sketch Challenge#529 here. And second, the Splitcoast Color Challenge#519 here. The colors to use are Blackberry Bliss, Pear Pizzazz and Pool Party. Petal Potpourri and Let Your Hair Down(Hostess set) are the stamp sets with some Painted Blooms DSP. 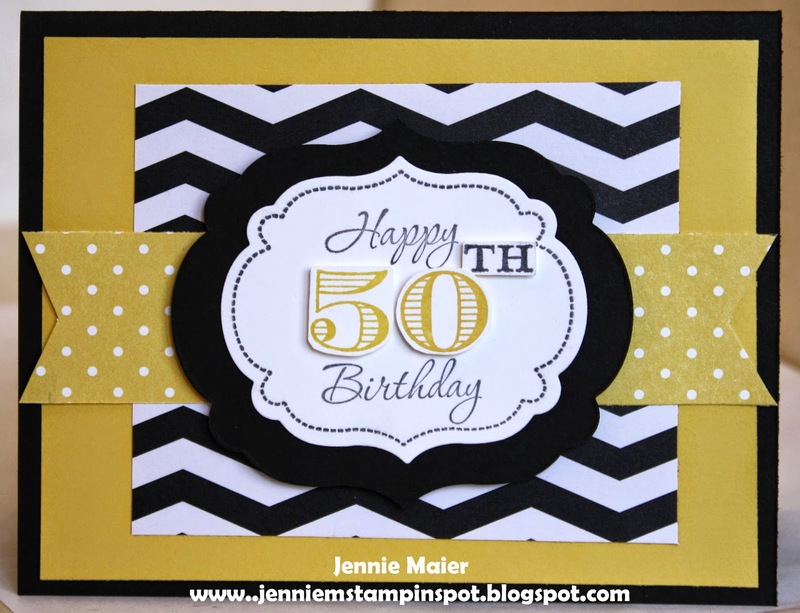 This birthday card uses the Fab Friday#58 here. Memorable Moments is the stamp set with some Stacked with Love DSP Stack and some Brights DSP Stack. This sympathy card uses the MojoMonday Sketch#386 here. 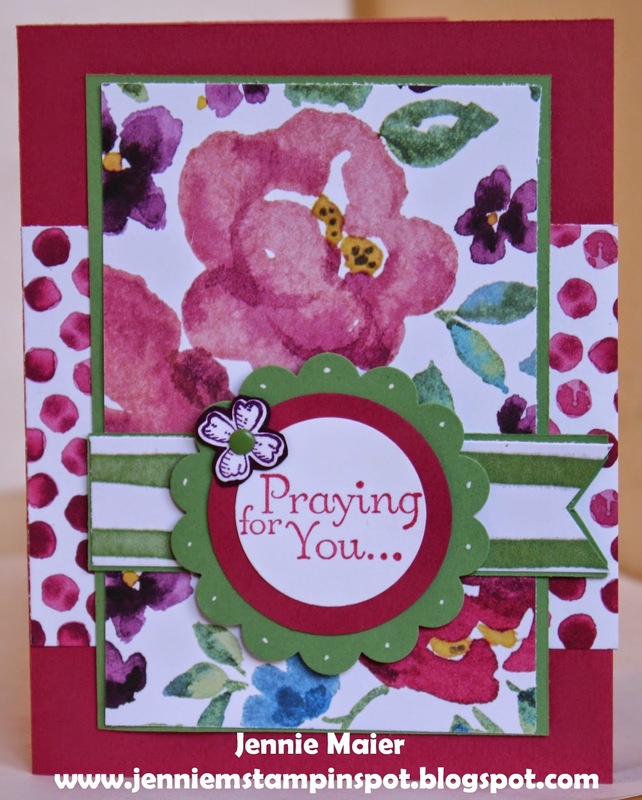 Thoughts and Prayers and Something to Say are the stamp sets with some Painted Blooms DSP. 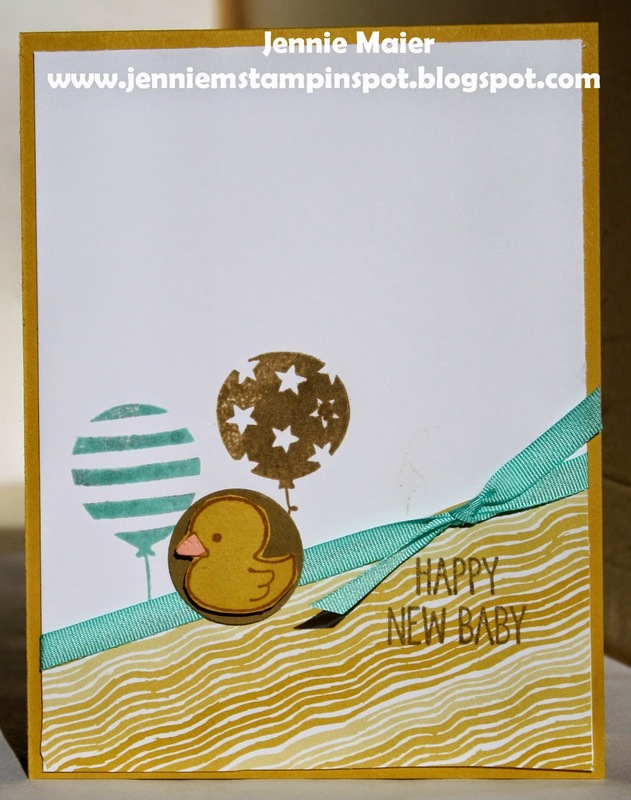 This baby card was inspired by three challenges. First, I used the Create with Connie & Mary Sketch#343 here. 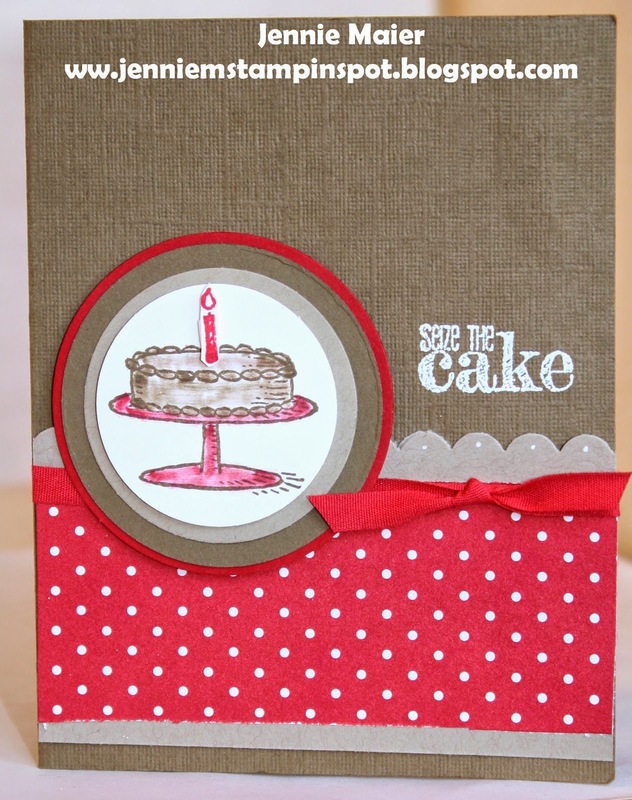 Second, I used the Stampin' Celebration Inspiration Challenge#98 here. And finally, I used the Splitcoast Color Challenge #518 here. The colors to use are Baked Brown Sugar, Pistachio Pudding, Hello Honey, Crisp Cantaloupe and Coastal Cabana. You could pick three or use all five and I used them all except Pistachio Pudding. Whew! Balloon Bash and One Tag Fits All are the stamp sets with some Moonlight DSP Stack. Here's the second birthday card for my other nephew. I used the PPA#240 sketch here. Since I had the papers and stamp sets out, I used the Big Day stamp set and added the candles from the Balloon Bash stamp set. Again, used the Confetti Celebration DSP. I need two birthday cards for our nephew's, turning 12 and 10, and I think this one works great! I used the Freshly Made Sketch#174 here. 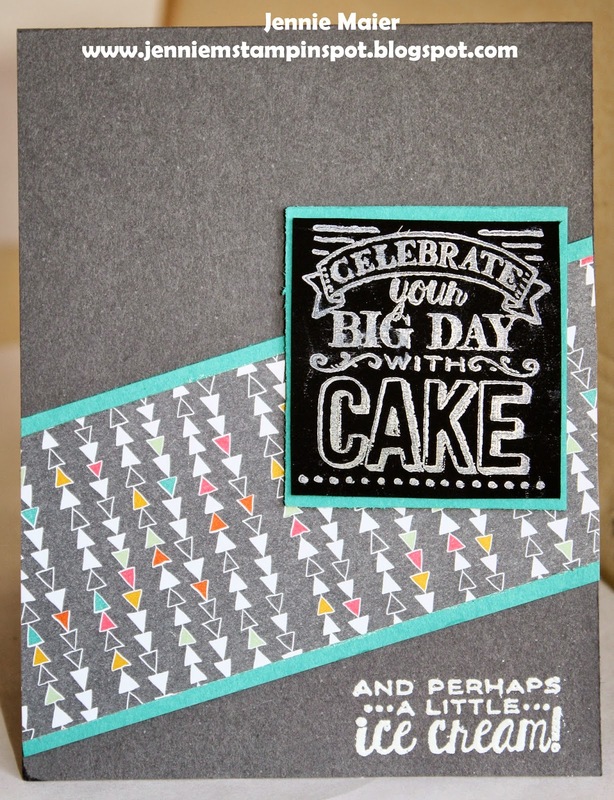 Big Day is the stamp set with some Confetti Celebration DSP. This thank you uses two challenges. First, I used the MojoMonday Sketch#385 here. And second, the Create with Connie and Mary#342 here. This one is a color challenge to use Basic Black, Hello Honey and Sahara Sand. Petite Paris is the stamp set and I used three different DSP's-Moonlight DSP Stack, Stacked with Love DSP and Sweet Dreams DSP. My birthday card uses the PPA Challenge#239 here. It's a color challenge to use the colors Crumb Cake, Real Red and Soft Suede.The stamp sets are Big Day and Something to Say with some Brights DSP Stack. This birthday card is for the Freshly Made Sketch#173 here. 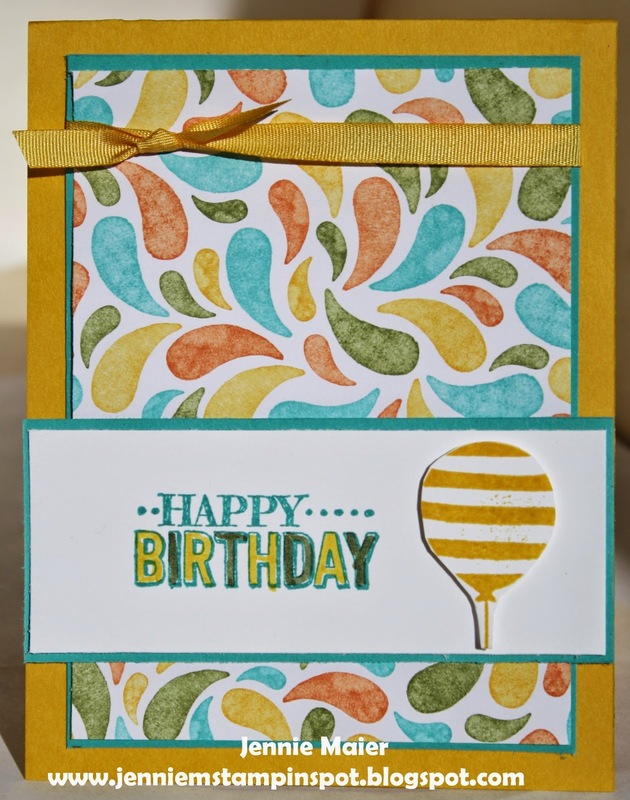 Balloon Bash is the stamp set with some Birthday Bash Specialty DSP. 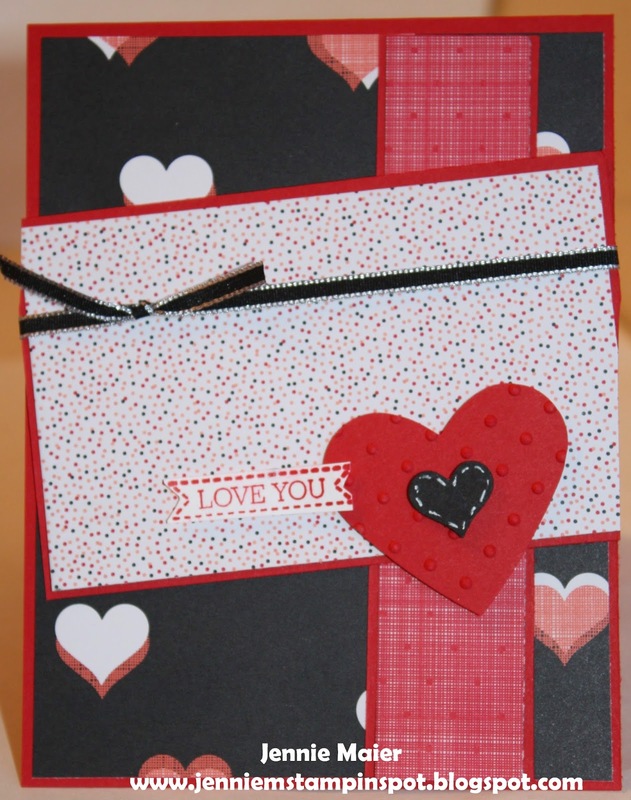 Still need Valentine's so I used the Create with Connie & Mary #341 here. Yippee-Skippee! is the stamp set with some Stacked with Love DSP Stack. 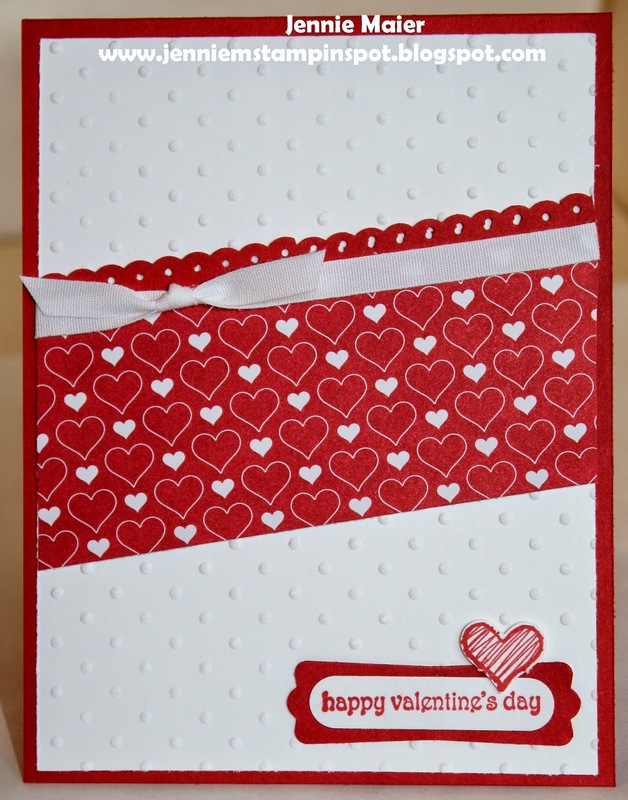 Labels: Create with Connie and Mary challenge, Stacked with Love DSP Stack, Yippee-Skippee! Another Valentine for a sketch. 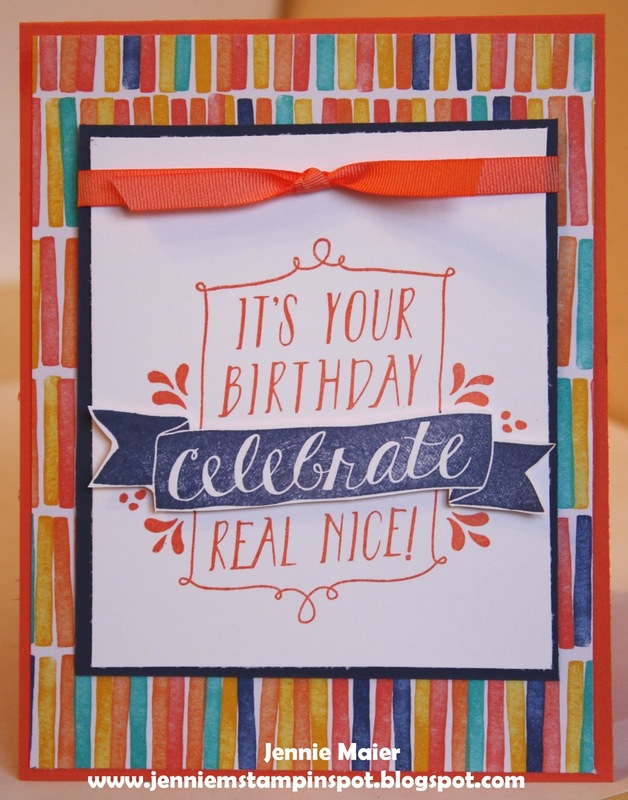 This time I used the Stampin' Celebration Sketch#97 here. 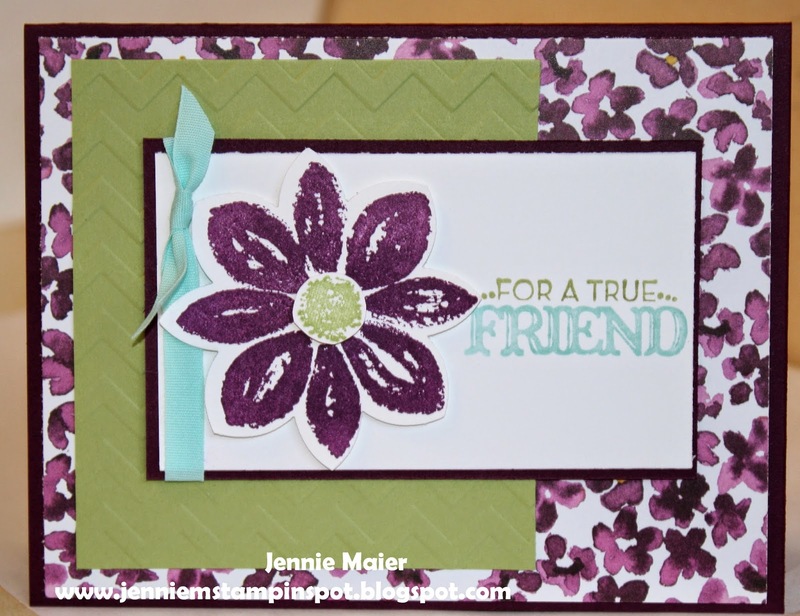 Teeny Tiny Wishes and Something to Say are the stamp sets with some Stacked with Love DSP Stack. Need a few more Valentine's Day cards so I used the MojoMonday Sketch#384 here. And I used the Fab Fri#57 here. It's a color challenge to use Calypso Coral, Real Red and Crisp Cantaloupe. 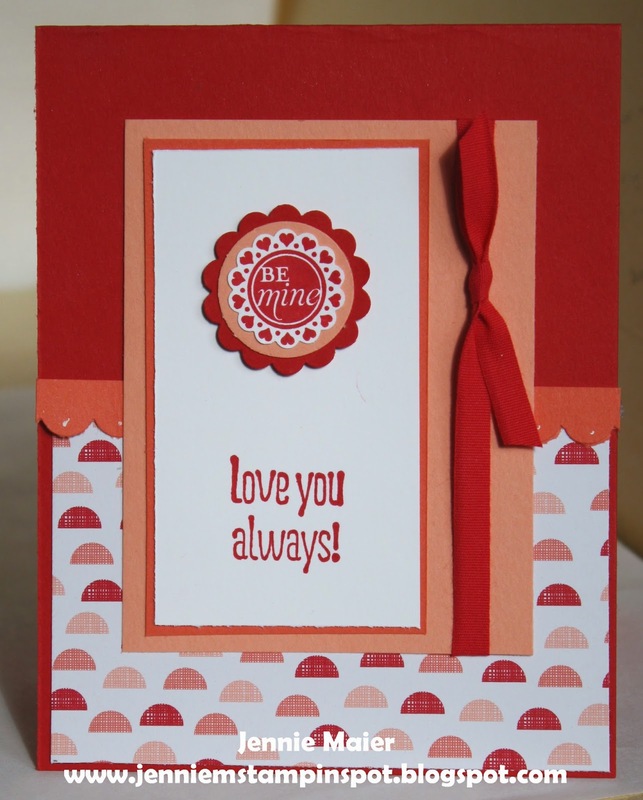 A Round Array and Something to Say are the stamp sets with some Stacked with Love DSP Stack. Here's a thank you that uses the MojoMonday Sketch#383. 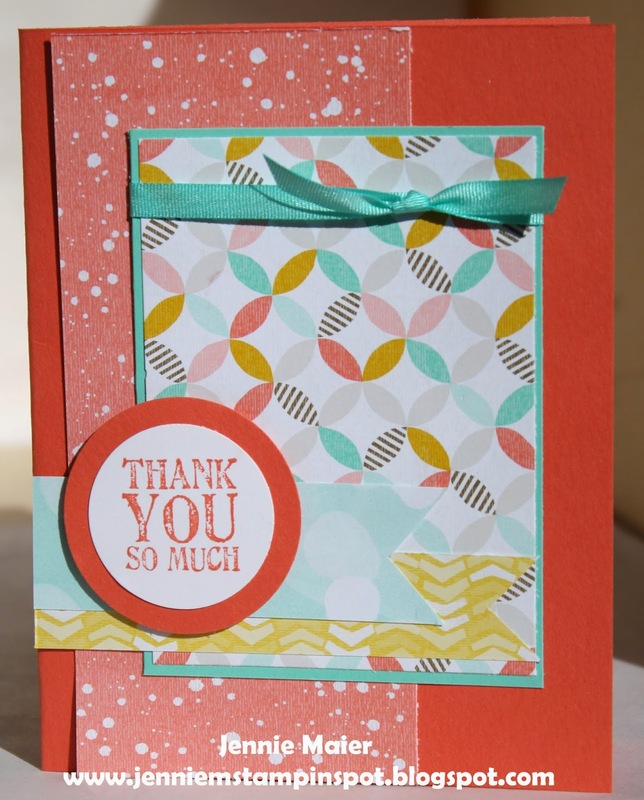 Lots of Thanks is the stamp set with some Best Year Ever DSP. I'm on a roll with another Valentine's Day card. This time I used the Splitcoast Sketch#526 here. Itty Bitty Banners is the stamp set with some Stacked with Love DSP Stack. 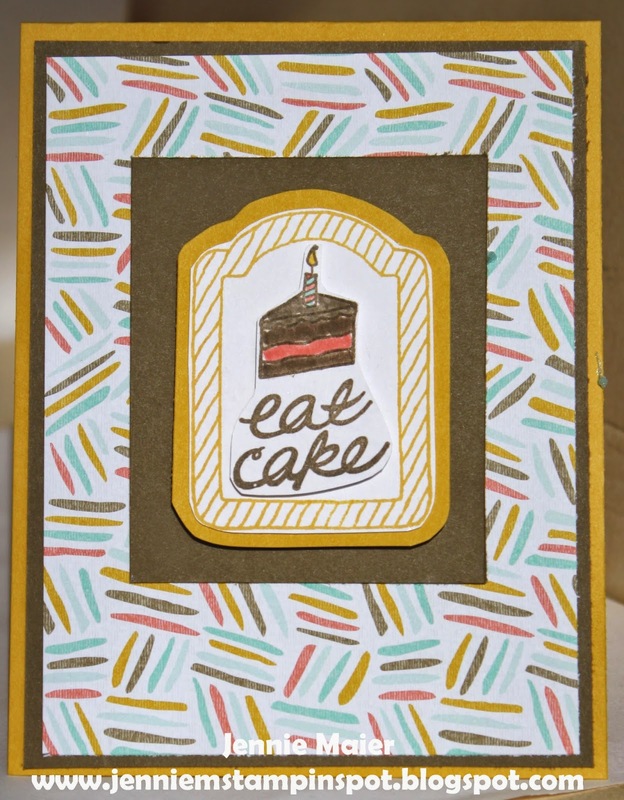 This card uses the Freshly Made Sketch#172 here. I took the sketch quite literally and used it for a Valentine's Day card. Yippee-Skippee! is the stamp set and some Stacked with Love DSP Stack. Labels: Freshly Made Sketches, Stacked with Love DSP Stack, Yippee-Skippee! I'm back from a little girls getaway and had time to make a quick card. I used the Splitcoast Sketch Challenge#525 here. 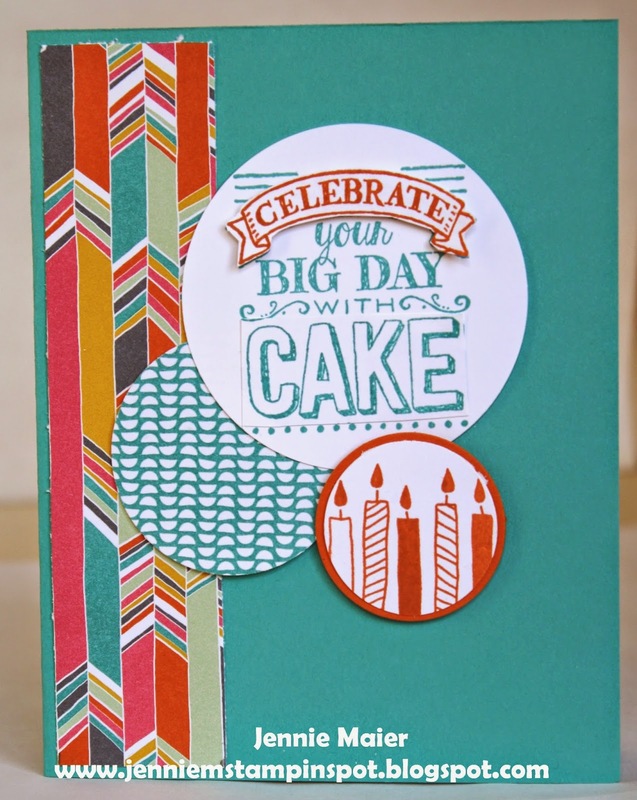 The stamp sets are Big Day and Balloon Bash with some Birthday Bash Specialty DSP.